Lake Tahoe is the largest alpine lake in North America, and the natural beauty of the lake and the mountains that surround it have been drawing people in large masses for over a century. Real estate around the lake can vary widely in aspects such as size and location, but luxury real estate is something that the entire area is known for. The properties in the area are among the best in the country, partly because of the care and craftsmanship found in these homes, but also because of the incredible amenities and outdoor splendor of the Lake Tahoe area. An added bonus for luxury real estate buyers is the very profitable upscale rental market, which can turn your gorgeous vacation home in to a no-cost or income property. The many different parts of Lake Tahoe offer different things to those who live and vacation there, so be sure to consider all areas before you invest in your real estate. The West Shore, for example, is known for having a more remote feeling but getting lots of snow, and the North Shore is known for getting a little less snow and a little more sun. Both areas are home to luxury real estate, as well as more modest options for buyers in many price ranges. 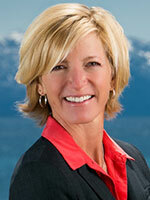 Search Lake Tahoe Real Estate Listings Here. Now is a great time to invest in real estate in Lake Tahoe. It offers a great year round vacation destination with numerous activities. The luxury real estate in the area can go fast, so feel free to begin your search now. 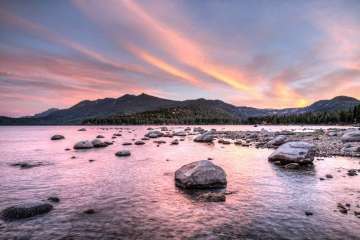 Lake Tahoe has something to offer everyone, and with gorgeous scenery such as you’ll find here, it will prove to be a fruitful investment indeed.